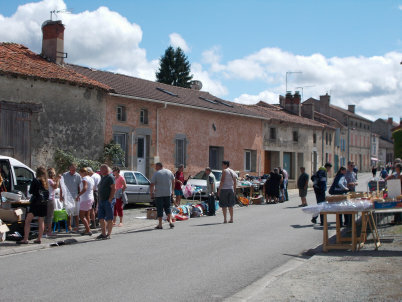 The vide grenier season is in full swing. 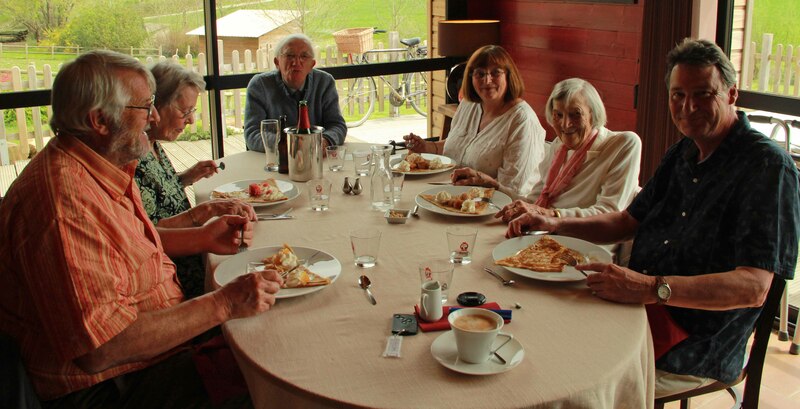 After a rainy morning the skies cleared to tempt us out to the boot sale in Thiat, taking Mum for an outing. We bought a set of fine coffee cups for 2€, a plate, saucer and mug in seaside blue and a lovely necklace in 'my' colour for 1€. And two pool towels for 6€ each, brand new and a bargain. 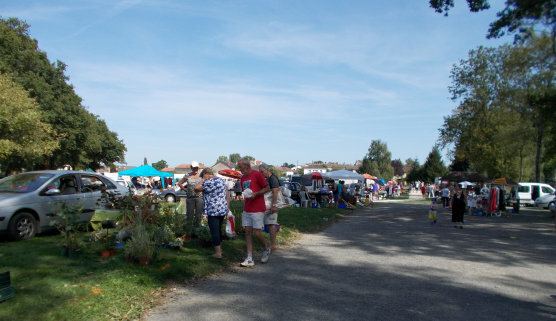 The vide grenier in Bussiere is held in a lovely location, in the park around a boating pond. It's a big event this year with plenty of browsers and buyers enjoying the gorgeous weather. 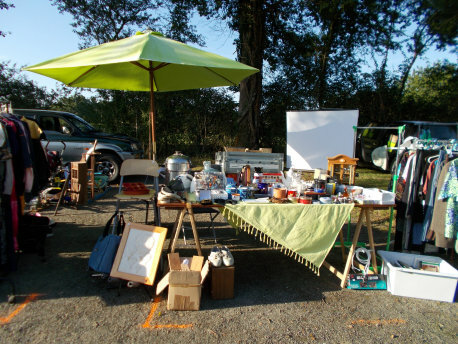 Then a week later, I set up my own stall at the vide grenier in Bussiere, offering the treasures that didn't sell at the same event last August plus other surplus-to- requirements things collected over the last 12 months. I sold a dozen items of clothing, mostly formal work wear that haven't been worn since leaving England 11 years ago. My Dad's ancient slide projector went, and the screen, an unused Ikea chair, shoes bought by mail order that wouldn't stay on my feet, a box of old brown tiles with leaf impressions and an embroidered picture Mum made but had grown tired of. My retired earrings sold well at 80 cents a pair, and even a dozen of my least favourite cookery books went. 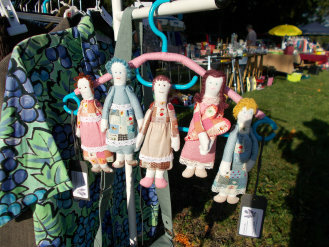 I brought along the five Lavender Ladies that I'd made, and sold two of them (the other 3 found an appreciative home later..) All sorts of stuff was turned into cash and although I didn't make as much as last year, I didn't have to bring much home either. Tony helped me set up and later pack up, and brought me chips at lunchtime, along with niece Maisie and friend Hannah who're staying with us for a few days. It was a hot day and I was glad of being placed in the shade of the trees at the edge of the park. I quite enjoyed the day, although I think I might not do it again.